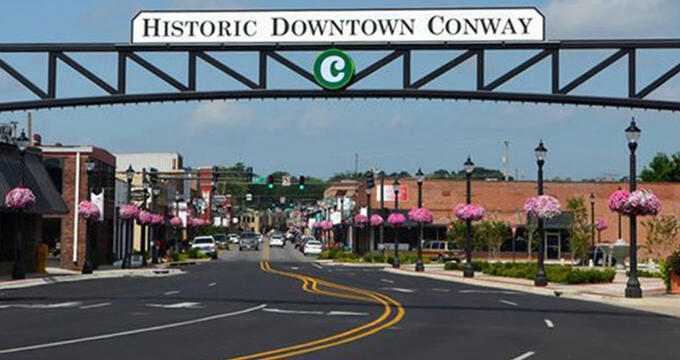 Conway, Arkansas is a vacation destination which combines the modern amenities of a booming metropolis with charming, small-town atmosphere. 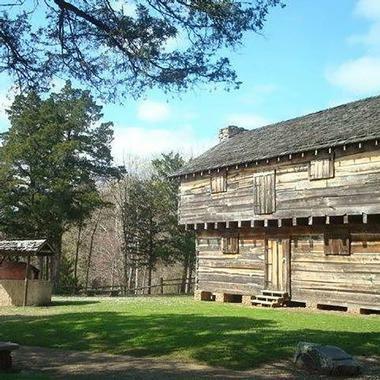 Those who want to learn about the culture and history of Conway can head to places such as Cadron Settlement Park, the Baum Gallery at the University of Central Arkansas, or the lovely museum-style gallery, Art on the Green. Adventurous visitors will find more than their share of thrills at the Thunder Road Grand Prix, Conway Family Bowl, or the Hogwild Family Fun Center. Spanning over 150 acres, Cadron Settlement Park has been providing a fun, safe, and beautiful setting for visitors to enjoy since 1979. The park is listed on the U.S. National Register of Historic Places because of its roots as a French trading post. You’ll be able to see and do much while you’re there including seeing a gorgeous historical mural of the pioneer settlement. Activities such as hiking on the vast trails or boating on the lake are extremely popular. Amenities include restrooms, designated picnic areas, pavilions, parking lots, handicap-accessible trails, a boat launching ramp, and a reconstructed blockhouse. The Hogwild Family Fun Center opened in 2008 and has been offering a fun-filled, family-friendly atmosphere for locals and visitors to spend the day. There are several attractions for you to enjoy during your visit to the center including go-karts, bumper cars, laser tag, and laser maze. You can spend the day playing a round of mini golf in their expansive, interactive course, or spend time in the arcade which has over a hundred classic and modern games to play. Their inflatable course is extremely popular with younger visitors who love bouncing around in the several structures. With so many gifts and prizes, families are sure to come back to the Hogwild Family Fun Center again and again. Escape rooms are one of the newer, more thrilling places to go with family and friends, so while you’re in Conway, be sure to visit Escape Mystery Rooms. The real-life escape games that they offer are absolutely exhilarating. As you use your physical and mental capacities to escape a locked room, you’ll come across a series of clues and puzzles which you’ll have to solve to get out. There are three unique and challenging themed rooms, each of which you’ll be given an hour to escape from. Themes include ‘Bank Job’, ‘Serial Killer’, and ‘The Motel’, so come prepared with your A game to have the most exciting time while in Conway. Jack’s Ultra Sports Paintball & Lasertag opened its doors years ago to provide the residents and visitors of Conway a family friendly place to spend an entertaining day. 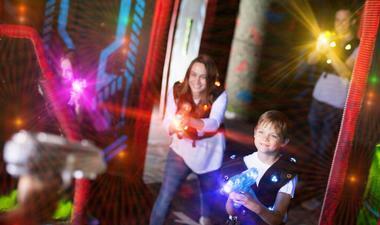 With so many fun things to do, visitors of all ages find themselves excited as they shoot members of the opposite team with their low impact paintball gun or laser gun. Archery Warz is another addition that lets you try your hand with a bow and arrow, but if you’re in the mood for some real mystery, head straight for Jack’s Escape Room. You’ll spend hours playing classic and more modern games in their arcade, as you aim to win an array of exciting prizes. 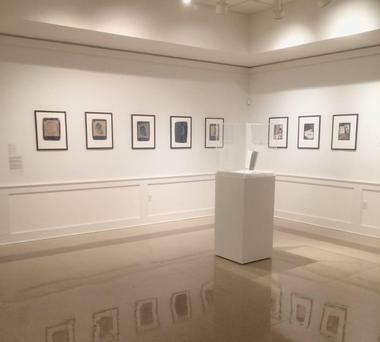 The Baum Gallery at the University of Central Arkansas is a lovely place to see the works of several local and national artists. A visit there is fun, educational, and inspiring as you browse through the carefully curated original exhibits. You’ll be able to learn a lot about the history of the art, the artists and creators, their studio process, curation, and cultural contexts. You’ll come across many permanent and visiting exhibits, with one of the most popular being ‘The Big Naturals’ which is the only Patrick Dougherty installation in Arkansas and features an installation of several sculptures. Share the Love Kidsclub is a 3,000+ square foot indoor space that is filled with activities which focus on developing a child’s creative, social, emotional, cognitive, and physical skills. Their sensory and imaginative play focus is a dream for parents, while kids have tons of fun interacting with other visitors their age as they’re surrounded by an exploratory learning environment. There are several classes and events held at the club throughout the year such as Music Together, the Kidsclub Magic Show, and daily scheduled activities such as Ball Bash and the Slime Lab. Their Zeteo coffee shop is a wonderful place for parents to have a healthy snack with their child or meet up with others in a playgroup. 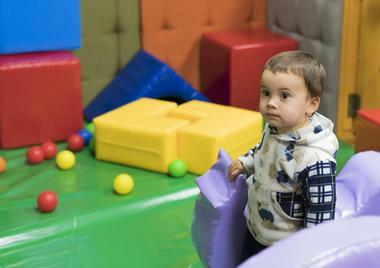 Imagination Station is a pediatric therapy clinic which doubles as a multi-sensory play environment. It’s a wonderful place for all children to come together, play, learn, and grow as they let their creativity and imagination go wild. The indoor playground was carefully designed and developed by pediatric therapists who combine good old-fashioned play while keeping children’s sensory needs and milestones in mind. Other services which are offered on site include one-on-one pediatric therapy sessions so that focus can be given to the specific skills which may need a boost. Other services include speech-language therapy, physical therapy, occupational therapy, and use of their Development Screen which lets parents better understand how their children are developing their skills. 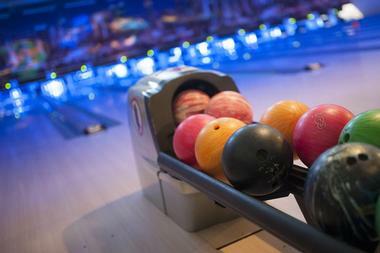 The Conway Family Bowl is a 24-lane bowling center which has been providing a family-friendly entertainment destination for years. The bowling alley is popular with residents and visitors from all over and has proven to be a memorable and fun-filled night with friends and family. If you’re in Conway for an extended amount of time, be sure to join one of their bowling leagues - they have different ones for bowlers of all age groups. Additional aspects of the Conway Family Bowl include an extensive gaming area, complete with a pool table. While you’re there, be sure to dine on the fresh, delicious food served from their kitchen. Watch art come alive at Art On The Green which displays the works of various artists in several different mediums. The 3,000 square foot museum-style layout is a refreshing and educational way to spend the day appreciating art and learning about the exclusive collection and methods in their lecture site and teaching area. The collections are on display in three-month rotations and you’ll be sure to come across something you’ll love. 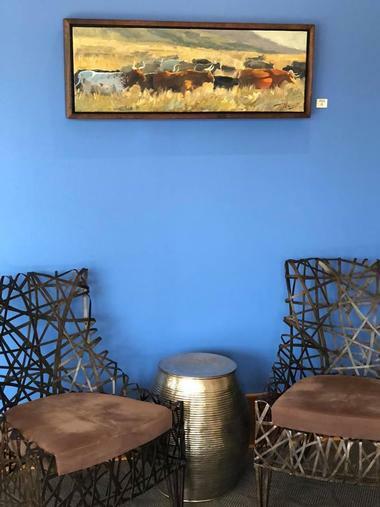 Some of the artists which are featured at the gallery include Kristen Abbott, Gary Alexander, Eldridge Bagley, Carolyn Baker, Nina Ruth Baker, Don Bingham, and Elizabeth Bogard. You’ll be sure to have a great time at the Thunder Road Grand Prix where you can start your engines and rip and roar down the best go-kart track in town. No matter if you’re speeding solo or if you’re racing against your friends, the track will make you feel like you’re racing for Nascar. 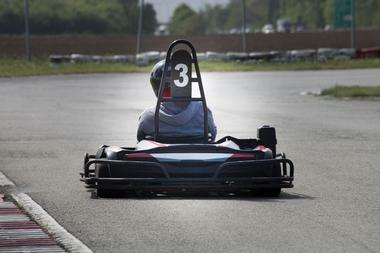 After an exhilarating race, head indoors to play a number of classic and state-of-the-art video and arcade games. 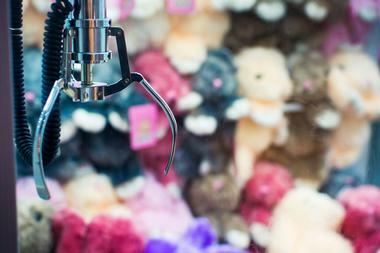 Redeem all of the tickets you win from the games for a fun prize from their wide array of toys, stuffed animals, and other odds and ends. The Thunder Road Grand Prix is a wonderful place to take the kids while you’re in Conway; take their friends and make it a party. David’s Burgers is owned and operated by David Alan Bubbus, who opened the restaurant as a tribute to master butcher and restaurateur, his father David Bubbus Sr. The Bubbus family has a long history of working with fine cuts of meat and preparing them into delicious concoctions which have attracted diners for years. They are proud of being the only hamburger restaurant that uses beef which is hand cut and ground from US Choice Chuck daily. All of the items on the menu guarantee quality and freshness and while you’re there, you should try their double burger combo, the hamburger steak, their grilled chicken, or their grilled cheese sandwich, all of which come with fries and a drink. 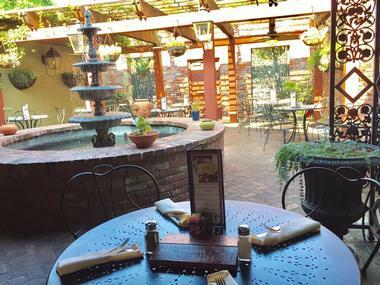 If you’re in the mood for steak, seafood, or authentic Italian cuisine, then there’s no better place to dine in Conway than at the Pasta Grill. The renowned restaurant was founded in 1994 and has been providing an intimate and memorable dining experience to its patrons ever since they opened their doors. There’s an entire team of culinary experts behind each dish including award-winning chef John Purtscher. 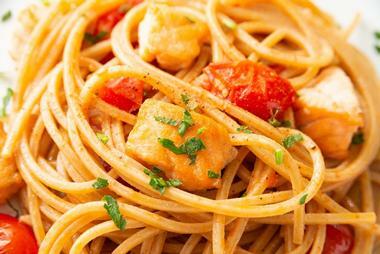 Locals and visitors love to feast on the unique Cajun-infused Italian creations such as their jambalaya pasta or the Southern Most pasta with Louisiana crawfish tails. An array of appetizers, soups, salads, and sides are offered to ensure that you have a perfectly paired meal. Mike’s Place is a community-oriented restaurant which serves exceptional food alongside superior service. Dining there is similar to having a big family gathering, and most of the locals who are regulars at Mike’s Place can vouch as such. You’ll be able to feast on some of the most tender prime ribs in the entire state of Arkansas, as well as a number of fresh chicken entrees, pastas, and seafood. Dishes that have proven popular with their patrons include the crawfish etouffee served over white rice, the grouper Po’boy, and their coconut shrimp which comes with a delicious homemade citrus dipping sauce. In addition to delicious cuisine, the MarketPlace Grill will ensure that your dining experience there will always include fresh ingredients, professional staff, and superior service. Their menu is a change of pace compared to other restaurants in Conway; their lunch-sized salads such as the Chicken Berry or the MarketPlace Cobb are refreshing, while their Nashville Hot! Chicken Sandwich is topped with Asian slaw on a toasted Brioche bun. The menu also includes an array of pizza, pasta, and burgers, but it’s their street tacos that steal the spotlight; the Korean beef tacos are filled with spicy Gochujang-marinated beef and drizzled with avocado cream while the cilantro lime shrimp tacos are topped with Pacific shrimps that’s been sautéed with garlic butter. 15.Zaza Fine Salad & Wood Oven Pizza Co.
© Zaza Fine Salad & Wood Oven Pizza Co.
Zaza Fine Salad & Wood Oven Pizza Co. is a family-favorite with those in Conway; the restaurant has a varied menu that will delight the palates of refined patrons as well as the little ones they may bring along with them. 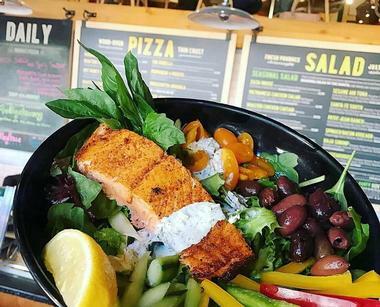 Keeping their menu basic and focusing on bringing out the flavors of their fresh ingredients, the restaurant gives you the option of building your own salad or choosing one of their popular offerings. Other items include soups, sandwiches, gelato and dessert, and of course, their renowned pizzas. Popular pizza choices include the Hot Honey Soppressata with salami and chile-infused hot honey and the Green & White with goat cheese, fontina, roasted mushrooms, and spinach. 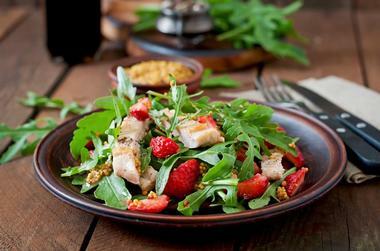 Zaza Fine Salad & Wood Oven Pizza Co., Photo: Zaza Fine Salad & Wood Oven Pizza Co.